Children often love nothing more than playing with a pet. However, they may lack the skills and knowledge on how to effectively care for an animal. For this reason, we’re offering some top tips on how to teach children to care for a new dog. Sit your little boy or girl down and carefully explain why they need to care for a pet. Discuss the reasons why they need to embark with a regular chore, as it will teach them responsibility while improving a dog’s health and happiness. You can also inform them why you need to use flea medicine for dogs and its benefits. The discussion will also allow your child to ask any questions they may have about caring for a pet. Children are prone to mistakes, as they are learning everything for the first time. It’s important to have a little patience whenever a child makes a mistake with a pet, such as petting them too hard or enthusiastically. Try to teach your child by example, and gently correct them when they make a beginner’s mistake. Teach your child responsibility while reducing your household chores by giving your little one jobs to perform. For instance, it could be their job to fill a dog’s water bowl each morning or to give a pet a treat each evening. Create a chart with a list of age-appropriate jobs they need to perform, and give him or her a sticker when they perform a job correctly. Start off by giving your child simple tasks to perform, such as changing a dog’s bowl of water at the end of the day. After a few weeks, give your child tasks that are a little bit harder for them to perform, such as grooming a pet with supervision. However, be careful not to give them tasks they will find too difficult to undertake, such as giving a pet a bath. Always be available to help if the job is a little challenging. Children should always be supervised with a new pet, especially for the first few months. This will ensure they don’t make any mistakes, such as overfeeding or petting a pooch too hard. A dog may feel a little strange in a new environment, which is why you should avoid leaving your little one alone in a room with a new dog. 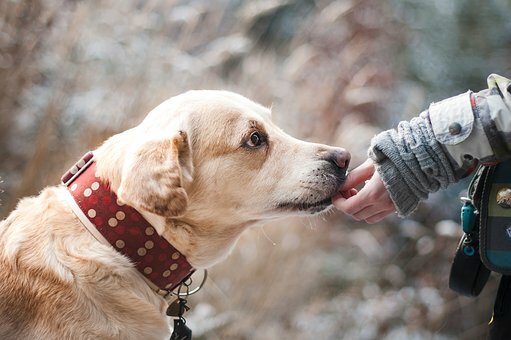 A reward for caring for a pet can be a great way to ensure a child consciously cares for a canine. If they have performed jobs without being asked or have gone above and beyond to care for a dog, reward your child’s good behaviour with a treat, such as a toy they have been asking for or a trip to the movies. It’s a great way to encourage kindness and responsibility. This entry was posted in Lifestyle and tagged dog, family, Kids.